The Affordable Care Act is almost here. A 3 month, Federally funded national anti-smoking campaign that employed graphic images and messages about the effects of smoking has helped thousands to quit smoking. Think you don’t have time to exercise? It turns out that doing a few pushups and “jumping jacks” every day is useful. Maybe some fat is good for you? We’ve all heard the wisdom that eating fat, any fat, is bad for you. “Fat-Free” is supposed to be healthy. “Trans” fats are considered by many nutrition experts as the worst kind of dietary fat. Now, it appears that processed foods contain more of it than we know. Not much flu yet … but it’s coming. 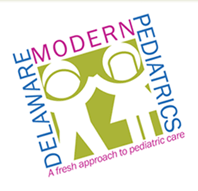 As of December 5th 2014, Delaware has seen 59 cases of confirmed influenza. One patient (apparently an elderly person) has died. Most cases, so far, have been in Sussex County. We’ve known for more than half a century that childhood vaccines dramatically reduce illness. The proof keeps coming! Failure to vaccinate has caused an outbreak of Measles in California and other western states. As of the last week of January, 84 cases have been diagnosed, including many adults. Only 12% of victims are known to have received any measles vaccine. The original (“index”) case has not been identified, but it’s assumed that an infected overseas traveler infected several other visitors to Disneyland in Anaheim, California. Should we give peanuts to infants? A new study suggests that giving infants peanuts might reduce their rate of peanut allergy. We’re making progress (a little) with childhood obesity. Rates of obesity in young children, age 2 to 5, have dropped 5% in the past 10 years. (Click here to see a review of the study.) This is a good thing! But pediatric obesity rates in older children have not changed. Parents often ask how their children’s symptoms of ADHD can be treated without “stimulant” medication such as Focalin or Adderall. Children’s toys and books sell because they engage. So any “doodad” that catches the eye of a kid, or his parents, helps to generate sales. Nowadays, lots of kids’ toys make noise or flash lights – even board books and traditional games like Monopoly have electronic versions. And screen-based entertainments have proliferated; apparently 3/4 of kids have their own cell phone or tablet by age 4. ADHD in preschoolers? Be cautious. More than 10% of school-age American children have been diagnosed and treated for Attention Deficit Disorder. Many are helped by medication; treatment can truly be life-changing for them and their families. Looking to donate breast milk? Some nursing mothers are able to produce more milk than their own babies can drink.